At Locke’s Glen, guests are welcome to enjoy the property to its fullest. 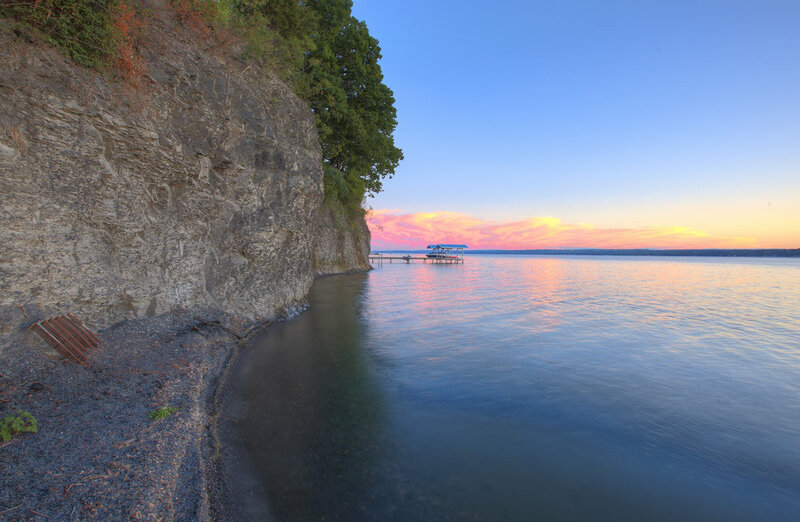 In the beautiful Finger Lakes, situated lakeside at the end of a private road, Locke's Glen has a small waterfall to the north, Seneca Lake to the west and expansive lawn to the south - all with amazing sunsets! Situated on a private road with no streetlights, the stars pop out brilliantly at night. No traffic and pin-drop quiet, you can hear the bubbling stream and waves hit the shore at night through open windows. 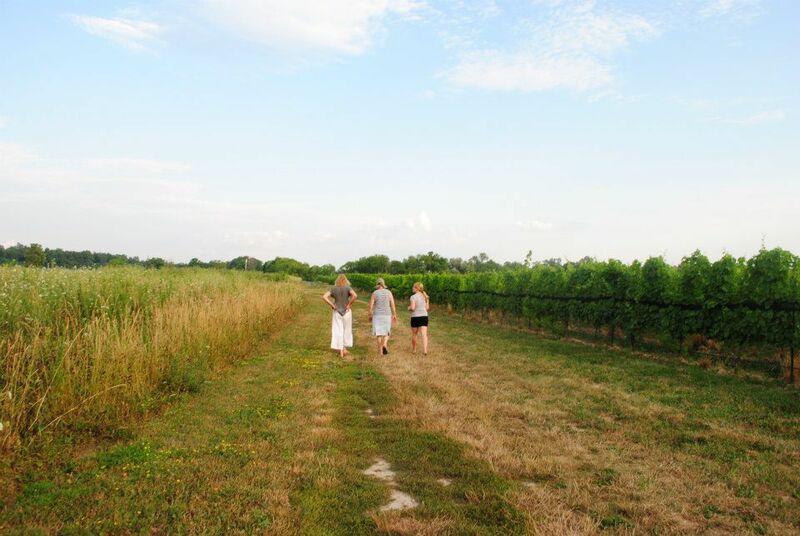 Locke's Glen is nestled on a country lake road with family and friends for neighbors. 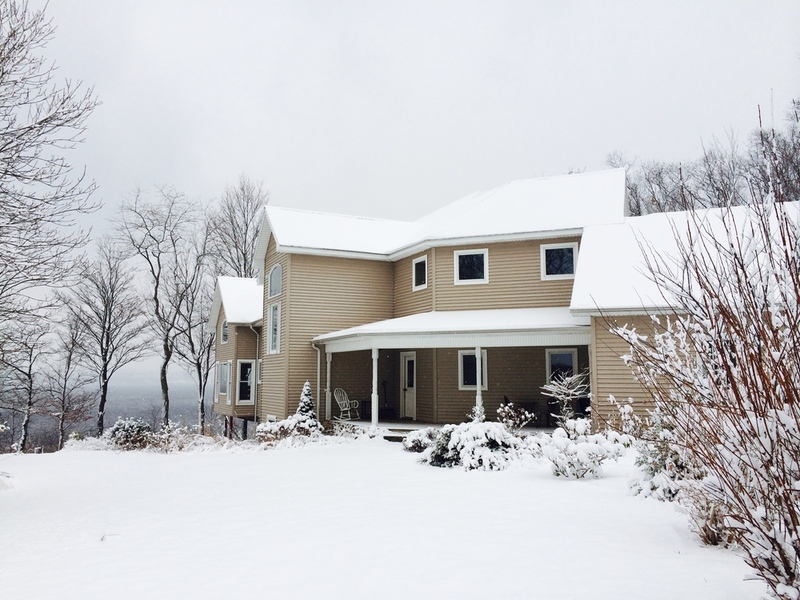 Daytime views of the lake are magnificent from both upper and lower decks and vantage points. Lights twinkle at night across the 2.5 mile wide Seneca Lake. We encourage visiting the lake front, accessible by a gently sloping path to stairs. Once on the dock you can enjoy the use of the Dockhouse bar, which has a unique waterfall running directly behind it. The dock is perfect for lounging and fishing. There is swimming in the clean, refreshing lake water. Topside, your lakeside fun can continue into evening with a glowing fire perfect for s'mores and campfire story telling. 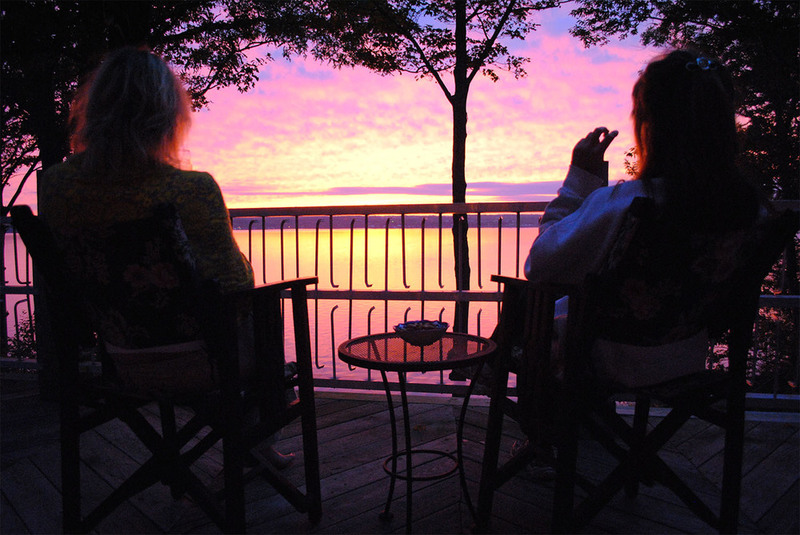 There are also plenty of porches and decks for quiet conversation while taking in the lake views. Locke’s Glen is quiet and peaceful with enough space to enjoy your favorite lawn game. Its proximity to quiet lakeside roads for wonderful walks or runs by the vineyards has something in store for everyone!